The certification process was advised by Colliers International Hungary’s Green Building Advisory Team. The GTC’s new A-class office building GTC White House has been granted the highest, Platinum Certification level under the LEED for Building Design and Construction rating scheme. 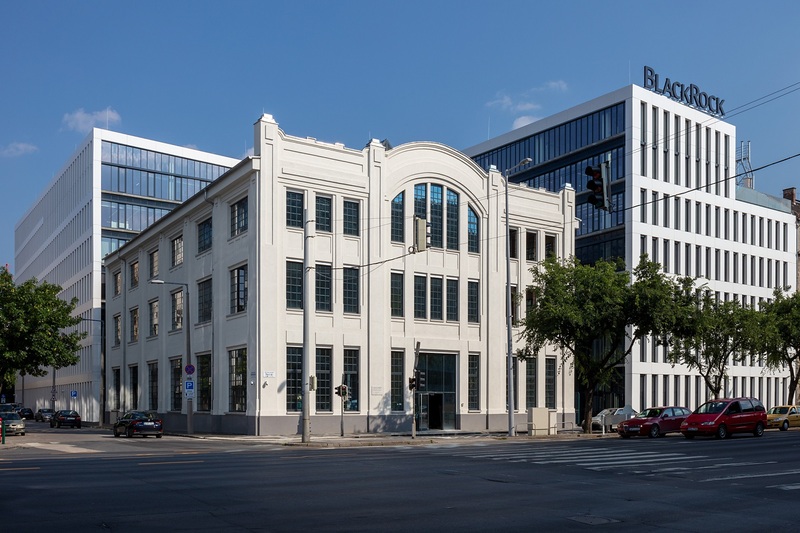 The project located on the site of former elevator factory in the Váci út office corridor has now become a second office development with such a prestigious rating in Budapest, Hungary. GTC White House encompasses 21,500 sq. m of exhilarating, uplifting green architecture including an entirely re­furbished turn-of-the-century stand-alone loft of 2,000 sq. m. The environmentally friendly solutions, efficiency and stunning design are an integral element of the architectural concept of the project. The green roof, reuse of harvested rainwater, efficient insulation, and windows covered with a light-reflecting foil all serve to reduce energy consumption and make a sustainable building in the heart of the city. “GTC White House is an extra-ordinary project in our portfolio. It is a symbiotic complex that combines great modern architecture with a traditional urban development. On top of that, buildings that has been awarded LEED certification are not only environment-friendly, but their business prestige is also outstanding: out of the 100 largest companies listed by Fortune magazine, 88 operate from green-certified offices” commented Thomas Kurzmann, GTC CEO.